Yes, the SM-G925F, is the internation version of the Samsung Galaxy S6 Edge. If you look at the link you shared to Amazon the phone is listed as fully compatible with AT&T and partially compatible with T-Mobile. 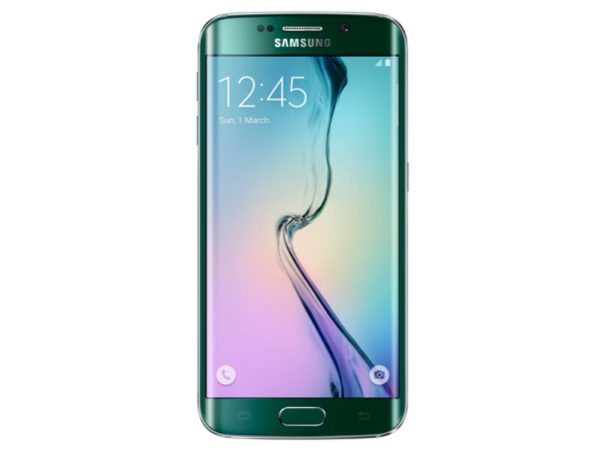 I looked up the Samsung Galaxy S6 Edge on FrequencyCheck.com. You can use this site to see how compatible a phone like the G925F is with the different networks by country. This phone is very compatible with AT&T’s network in the USA. While it is compatible with T-Mobile’s 4G LTE network as well as their 2G and 2.5G network it is only partially compatible with their 3G and 3.5G network. This would be a concern if you found yourself in an area with little or no 4G coverage on T-Mobile. The phone would like fall back to slow 2G or 2.5G service. You didn’t mention why you wanted the G925F, the international version. If you want to use the phone outside the US, I’d encourage you to use FrequencyCheck.com to see how compatible it is in the other countries you want to use it. If you just want an unlocked phone, I’d ecourage you to look at the AT&T, T-Mobile, or Verizon models that have better support for US network. The G925F as no support for Verizon or Sprint as it doesn’t have CDMA. I also checked out the hardware specs on GSMAArea.com. Sometimes the CPU, chipset, and GPU differ between the US and international models but for the G925F they are identical. For people concerned with hardware specs and capabilities this is sometimes an issue. One other thing you may want to consider is Android security and system updates. For the G925F these updates would need to come directly from Samsung. If you buy the G925A, G925T, or G925V the updates will come from AT&T, T-Mobile, or Verizon. I’m not sure if the carriers deliver more frequent updates than Samsung, but I have heard from at least one person who claimed updates from Samsung are sporadic. Finally a note about buying this phone on Amazon. Please note this phone is being offered by independent sellers. These phones are neither sold or fulfilled by Amazon. Make sure you understand if the phone you are buying is new, used, or refurbished and that you understand the return policy. A few years back I bought a “new” Samsung Galaxy S3 Verizon phone on Amazon. I paid a premium for a new phone, rather than a used one from eBay. When the phone arrived it was in a Galaxy S3 box for a different model phone. When I contacted the seller, he told me they get new phones, without boxes, buy samsung boxes, and package the phones. That wasn’t my definition of new, so I returned the phone. That phone was fulfilled by Amazon so the return went smoothly but I learned to be careful after that.